Welcome to our Year 4 page. Here you will find useful information about our termly curriculum, PE days, homework expectations and useful websites. At Netley Abbey Junior School, these ideas underpin all of our learning. Homework is handed out each Friday and should be handed in each Wednesday. Your child will receive weekly spellings with space for them to practise each word five times. They will also receive either an English or maths piece of homework for them to complete, linked to their learning in class. They should continue to learn their times tables at home as they will be frequently tested at school to ensure their progress. They should also be reading at home at least 3 times a week for 10 – 15 minutes. We would be grateful if you could support your child in learning to tell the time, as this is a particularly important skill. Below are the slides from the year 4 Minstead evening. You should have received a pack of forms and information, either sent home with your child or given at the meeting. Please complete these and send them back into school. Your child will not be able to attend if we do not have these forms. A big thank you to those who attended our reading café. The children really enjoyed spending time reading with you. Below are the slides from the session along with the questions and APE question stems that were used. We hope these are helpful to you, however if you do have any questions we are here to help! This half term we are looking at Alice in Wonderland by Lewis Carroll. We look forward to exploring this text with them in our guided reading sessions and using it for inspiration for our writing in our English lessons. 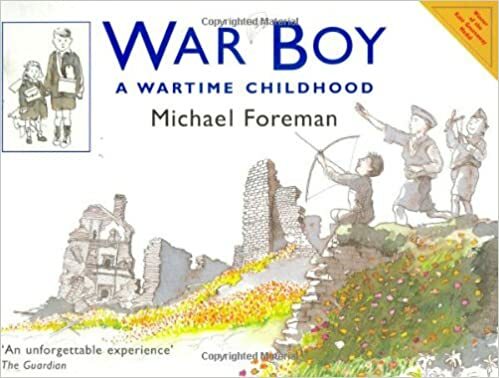 Last half term we looked at War Boy by Michael Foreman. It tells the tale of what life was like for a young boy growing up in World War Two. The children really enjoyed this topic, asking questions about the war and telling stories of what life was like for their loved ones who may have experienced it. For those who particularly enjoyed this book, War Game (also by Michael Foreman) is a good follow up text. The children have also taken part in our first “Wellie Afternoon” this term. The children spent some time exploring the outside area, going on a nature walk and asking lots of questions about the things that they saw. We also took part in some leaf mindfulness. This was where we had to find and study a leaf, looking at all it’s features. We then had to put it down, move around the field and see if we could find it again. A big thank you to Miss Phillips for kicking off the first event with us. The first book that we looked at in English this year is called Flotsam. It is a picture book with no words. We have learnt how to write different sentence structures, punctuate speech correctly and include expanded noun phrases in our writing. Take a look at some of our newspapers we created about a camera found in the sea. Towards the second half of the term, we looked at the text “Goodnight Stories for Rebel Girls”. This book is made up of lots of short stories, written as if they were fairy tales, about real life inspirational women. We wrote fact files on Amelia Earhart, wrote letters to persuade a judge not to imprison Mary Edwards Walker for wearing men’s clothes and thought about all the different ways stories can begin and end. We then wrote our own stories, all inspired by pictures of ships, with different genres and openings. Enjoy some snippets below. Parents often ask us for suggestions of appropriate books for their children to read. Below is a list of suggestions of high quality texts suitable for children working towards and at the expected level for year 4. For children who are exceeding the reading expectations of the year group, here is a list of suggested books to continue to develop and extend their skills. In the link below you will find a user friendly guide to the different grammar terminology your child will be familiar with. Although it is split into year groups, you may need to look at the year group before for skills originally introduced in previous years. We hope that this is a helpful tool for supporting your child with their homework.